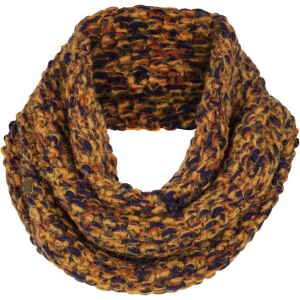 Experience the hand-knit luxury of the Emilime Baro Neck Warmer. A yarn blend that includes alpaca wool and wool is soft against your neck as you make your way through the chilly streets. The infinity style pairs well with fitted tops and blocks wind from all directions so you arrive at your destination looking good and feeling great.